Â USART means Universal Synchronous Asynchronous Transmitter and Receiver. USART communication has provisions for full duplex communication, i.e. simultaneous transmission and reception. Synchronous means that a single clock source would be shared by end devices to facilitate communication. Asynchronous means, there would be no synchronized clock source b/w the end devices. But to receive a serial incoming data there is always a need for sampling. In addition to that, the symbol rate (i.e. the baud rate) should be known. Thatâ€™s why each USART or UART module has an internal baud rate generator module. In earlier micro controllers, no separate baud rate generation unit was there. They used one of the internal timer counter for baud rate generation. 3. 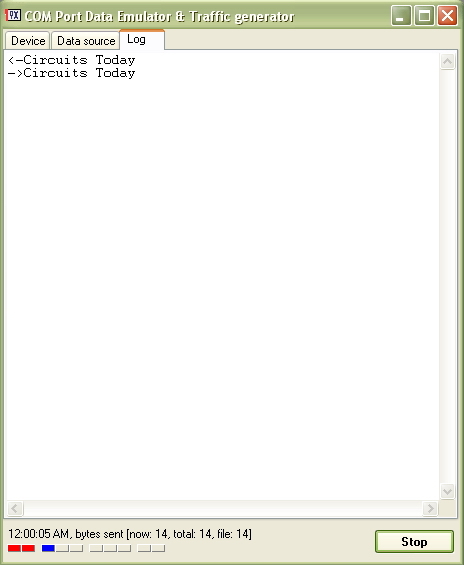 UCSRCÂ : This is the most important control register for USART. Letâ€™s have a look. Â a. Â Both transmission and reception will be enabled. Then select the port to which the circuit is attached. 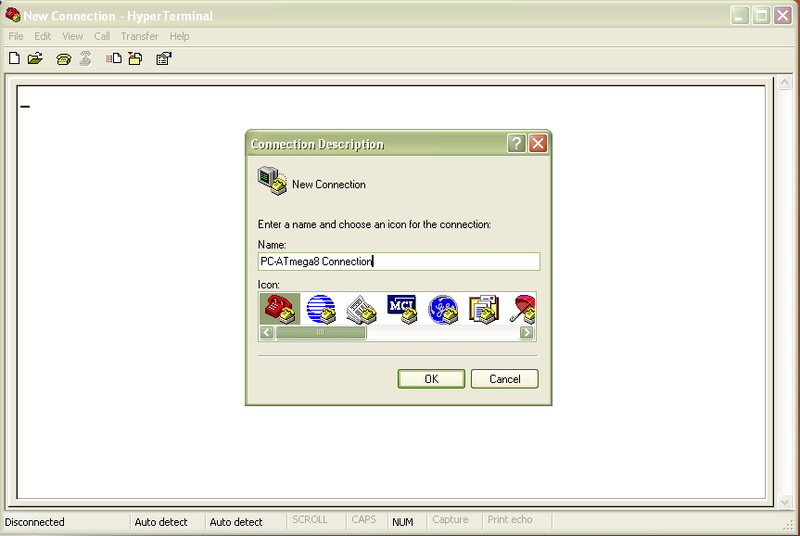 Usually the terminal window shows only the received characters from the COM PORT and it transmits whatever that is typed in the keyboard. But as the TXD and RXD pins are shorted in the MAX232â€™s TTL side, there is an echo of whatever that is transmitted from the COM PORT. 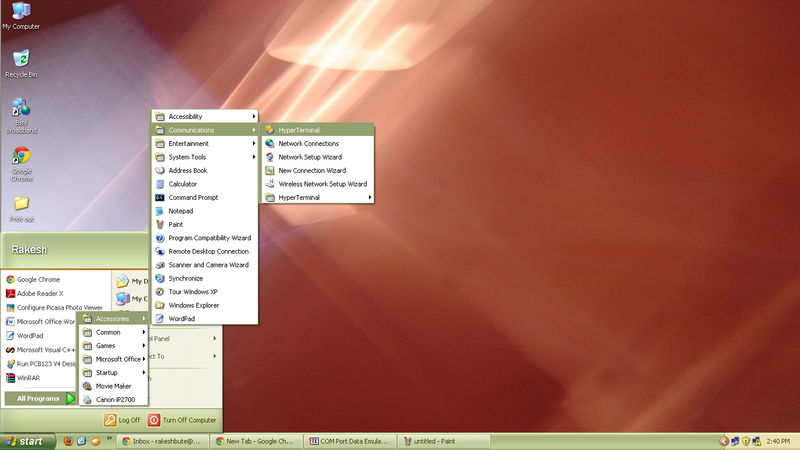 You can see this in the window screenshot below . 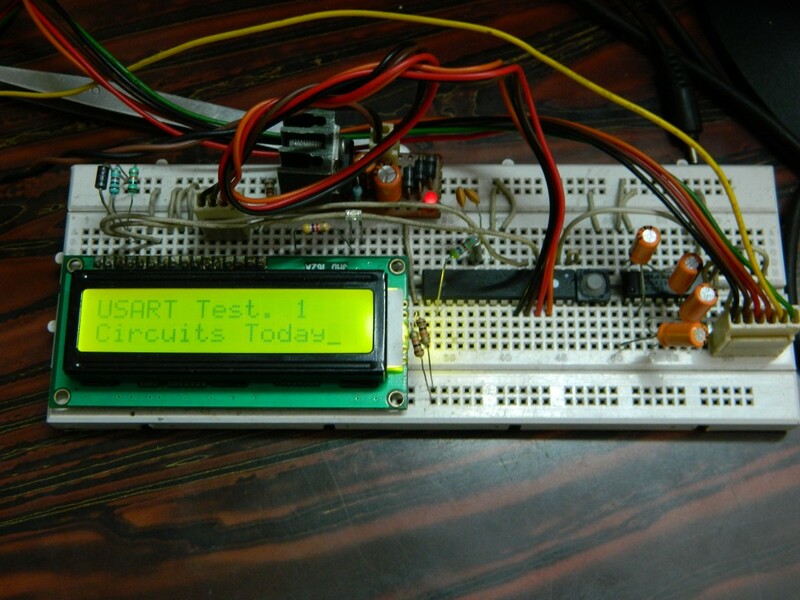 Finally the circuit receives the data too, and is shown in the LCD display. The micro controller is so programmed that whenever the lower line fills up with the character received, it clears the entire line. 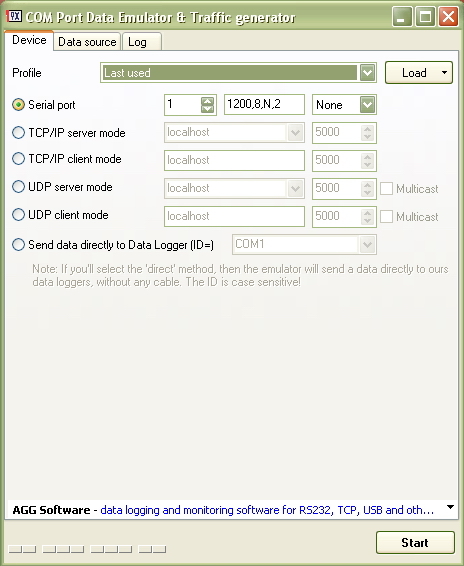 There are many free serial data emulator tools Â available over the web. One of them is COM PORT Emulator. It is simple and easy to use. 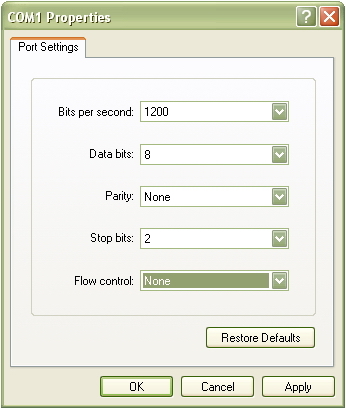 Simply Configure the settings as shown below in figures, put your text and start emulation. We are doing a school project about the serial communication and we would like to have the complete code for using in the ATmega studio 6. Do you still have it? Can you send us? Your program is very helpful for us. 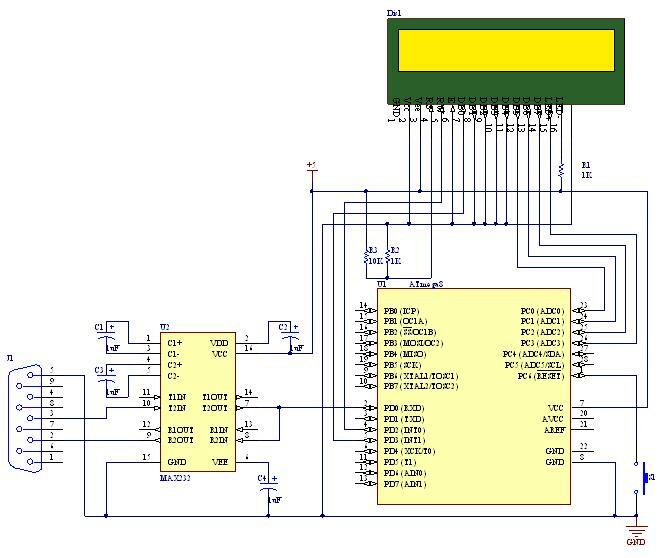 How can I measure frequency by using ATmega32 Microcontroller ?Would you please give me a design with hex file ? Practically I should learn it. If yu you give me a disign it will be a great help for me. It would give direct frequency reading. i have a question about the USART interface that you suggested. it works but when i look at max232 data sheet i see that pins 7 and 8 are RS-232 input/output but connected to the AVR RX,TX pins witch is should be TTL i think. 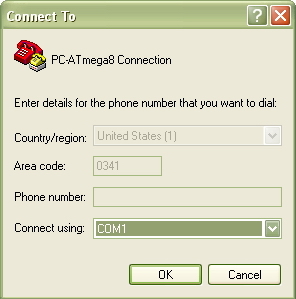 i wanted to know can i use comport that i use to create ISP programmer?? If you have a com port in your that means you have a blessings embedded in your computer for burning micro-controllers.